Gurbankuly M. Berdymuhammedov's victory is no longer to be doubted. In the meantime, it is certain nuances of what is happening in post-Niyazov Turkmenistan that are particularly interesting. Foreign and domestic media outlets run stories on the results of semi-legitimate opinion polls (semi-legitimate because of their manner, that is) in Turkmenistan before February 11 where the respondents had been asked for their opinion on elections in general. The opinion polls revealed a discrepancy between expectation of changes and disagreement with what the respondents branded as a show referring to the forthcoming election on the one hand, and fears that the situation might take a turn for the worst on the other. It is this discrepancy that eventually had its effect on the election itself. Since the official outcome of the election is a foregone conclusion, let us concentrate on some details. The authorities employed every resource at hand, but the turnout was not even nearly as "total" as organizers of the election wanted it to be. Needless to say, voters were particularly active in Ashkhabad itself. In other regions of the country, however, the picture was wholly different. Consider the Mary vilajat or region, acting president Berdymuhammedov's native area. Activity of voters there was more or less impressive only in the administrative center itself. Moreover, turnout was fairly low in the settlements of Sandykachi, Jolotan, Hauz-Han (these are the Soviet names of the settlements in question). Voting in the Balkan vilajat in the western part of the country was somewhat uneven too. Judging by what information is available to Ferghana.Ru, results of the ballot show that Mayor of Turkmenbashi (Krasnovodsk) Ashirnijaz Pommanov is not popular even in the city itself. Granted that prime candidate Berdymuhammedov left other also-runs far behind, Pommanov will probably fail to come in even second - much to his own distress. What respondents this correspondent approached in Gyzylarbat or Kyzylarvat, another city in the Balkan region, said off the record (not in order to demonstrate their loyalty, that is) that "let it be Berdymuhammedov" and wished for improvement of the state of affairs with education and medicine. 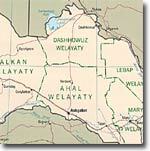 Or consider the situation in the Dashovuz vilajat (north Turkmenistan). Sociopolitical situation here has been complicated all through Saparmurat Niyazov's reign. 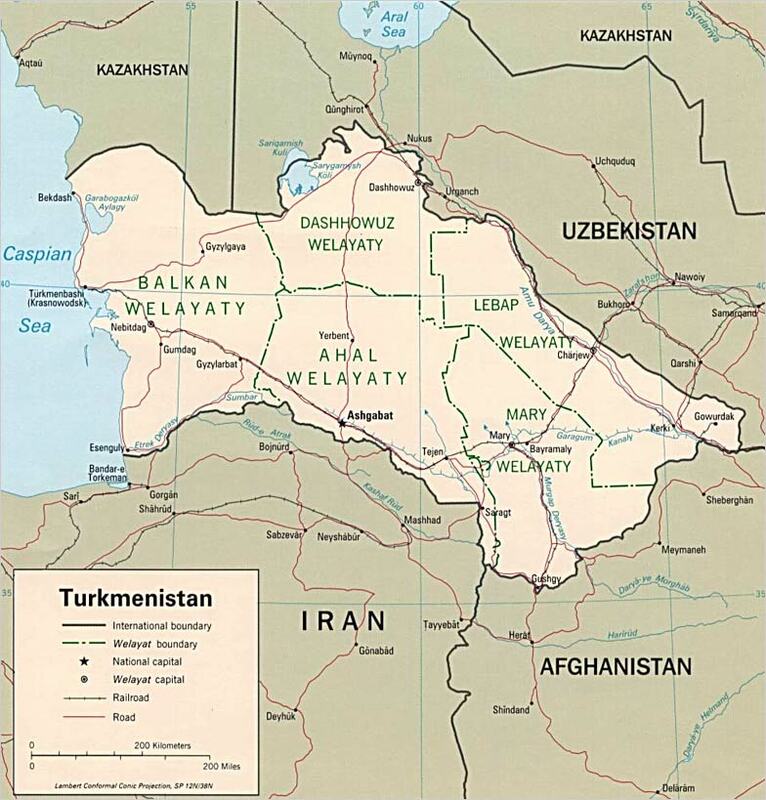 The late president regarded the Dashovuz population as potential trouble-makers because very many people had relatives on the other side of the Turkmen-Uzbek border and that was making the Turkmenbashi wary. He was afraid that the restive disposition from Uzbekistan might cross the border into Turkmenistan... Shortly speaking, Berdymuhammedov came in first in the Dashovuz region (it would have been strange indeed had it been otherwise) and Senior Deputy Governor Ammanijaz Atajikov came in second. Ishankuli Nuryev, Deputy Minister of Oil and Gaz Industry and Mineral Resources, and Muhmmednazar Gurbanov, the head of the Karabekaul district administration, vied for the privilege of coming in second in the Lebap vilajat in the eastern part of Turkmenistan. Off the record, what locals this correspondent approached said that Gurbanov was closely associated with Akmurad Rejepov, the head of late president's security. As a matter of fact, this factor was not exactly playing into Gurbanov's hands. The turnout in the central Ahal vilajat was pretty respectable but not as impressive as in Ashkhabad itself. The respondents Ferghana.Ru approached (those who were willing to talk, that is) mostly said that they counted on "the next phase" rather than on the authorities nowadays. Very many added as well that the powers-that-be would be compelled to launch the reforms ms sooner or later. As for the opposition (the respondents obliquely referred to it as "the others"), there were two opinions on that score. Some respondents find fault with the composition of the opposition (practically all opposition leaders used to belong to Niyazov's nomenclature once). Others on the other hand emphasized that "the opposition seems to know what it to be done." It turned out as well that not a single Turkmen this correspondent approached knew the first thing about the program of the opposition save for the assumption that "they want to change everything." The respondents are convinced as well that "Turkmenistan will never be left alone because of the gas" and that the opposition cannot do anything in any case. Asked what they thought about the next president, practically all respondents doubted that Berdymuhammedov was independent and free to make his own decisions. As a matter of fact, some respondents even assumed that "guys up there may be at each other's throats" at some future date. The authorities' penchant for secrecy and unavailability of information generate all sorts of rumors. Foreign radio broadcasters are the prime source of information on Turkmenistan, which is not at all paradoxical or even surprising for whoever lived in the Soviet Union. TV dish antennae do not count because foreign TV-stations are not precisely Turkmen-oriented. The Internet is a wholly different matter. What with the lack of valid information, voters were compelled to make up their minds on the basis of what was heard from foreign broadcasters (that's who knew the Turkmen language), what was read in the local Russian newspapers (Neitralny Turkmenistan), or what their own past experience told them. In fact, the authorities made sure that there would be no anti-government or oppositionist leaflets in the country to mar the election. Law enforcement agencies were given express orders on that score. In short, the election turned out to be a major factor of influence with the public consciousness in Turkmenistan. And that is an accomplishment in itself.